Before starting my review on best kajal brand, I would like to tell you that I have very sensitive watery eyes & that is the reason most of the kajals fail to fulfill my need. Well I don't want anything special, just few things as listed below & I know we all look for the same qualities in our BEST KAJAL EVER. So here are some of the qualities we look for in kajal. I think the above listed qualities completes almost all our requirements of best kajal, so I would be rating some of the kajals out of 5 ( 5 being the best & 1 being the worst) on the above 5 qualities. If you have any other do tell me. Now on basis of these qualities I am going to review few kajals like Maybelline Colossal Kajal, Colorbar, Faces, Shingar, Oriflame, Coloressence, VLCC, Himalaya, Biotique, Lotus Herbals Natural Kajal, Shahnaz Hussain Kajal and few others, which I have already reviewed in detail. Now after rating all these KAJALS on the above 5 qualities, the following 3 are best according to me. Maybelline Colossal Kajal is another great kajal in the aspects of being smudge free, giving jet black color, but it does sting my eyes little bit, but very little not too much. Though Faces one gives a more deep black color than this Maybelline at a less price but I will prefer Maybelline over Faces since is smudges less. 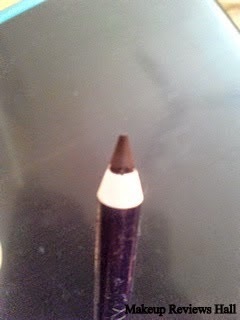 Oriflame Kajal Pencil also works well in being Smudge Free & giving Jet Black color, but the worst part of this is that its the most difficult to clean. It does not even come off with makeup removers. So instead of rubbing my eyes hard to remove it, I leave the left part overnight but take care to wash it away as much as possible, before sleeping. Sometimes because of this my eyes appear as if I have dark circles. I have added another kajal to the list is LAKME EYECONIC KAJAL. This was my BEST KAJAL REVIEW. I tried covering most of the kajals. Though all of them are good in their own way but it depends on your eyes, sensitivity and requirement. I listed different qualities of all of these above. Hope you liked it. Oriflame is the best kajal. I have been using it from many years. Close ur eyes and get it. Wowww nice post as i am a crazy in collecting kajals... I love VLCC, Lotus..
i liked your review thanx !! hey thanx a lot what a lovely review! hey thanx fr the review....wat about revlon kajal? i m using colobar currently....its gud....i fear usin any other kajal....i want smudge free and long stayin kajal....is oriflame gud fr dat? hi m fair in colour but having dark circles under my eyes, dey luk prominent, plz suggest any suitable kajal for me.... thnx! hi my colour is fair, but having dark circles under my eyes which luk prominent, plz suggest any gud kajal for me... thnx! plllzz tell me hoz amway kajal? what about colorbar i glide pencils ?